The annual Winter NAMM (National Association of Music Merchants) show in California has just started. For those who don’t know about it, this is a trade-only fair where musical instrument manufacturers and wholesalers display their current and new products to the rest of the music industry. So far this year there have been quite a few new products of interest to vintage keyboard enthusiasts. One of the most exciting developments comes from our old friends at Vintage Vibe. Not content with reinventing (and arguably improving) the electric tine piano, this year they have on their stand two prototypes of their new “Vibanet“. Viba-what? Riding a wave of new true analogue monosynths are a few well-known names. 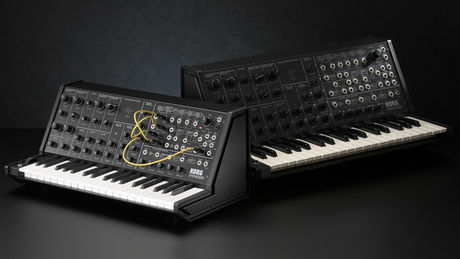 First of all, Korg have followed up their Monotron and Monotribe micro-synths with a genuine 100% analogue reissue of their late-70s/early-80s patchable performance synth, the MS-20. What’s the catch? Well, it’s shrunk a little bit. In fact, it’s touted as an 86% scale replica of the original, including the keyboard and the patch-bay sockets. Unlike the original, it also has a MIDI in port for those who like full-sized keys. And the good news is that it exactly replicates the functionality of the original MS-20. The very first review I wrote for the KeyBlog concerned the Stylophone S1 by British manufacturer Dübreq. 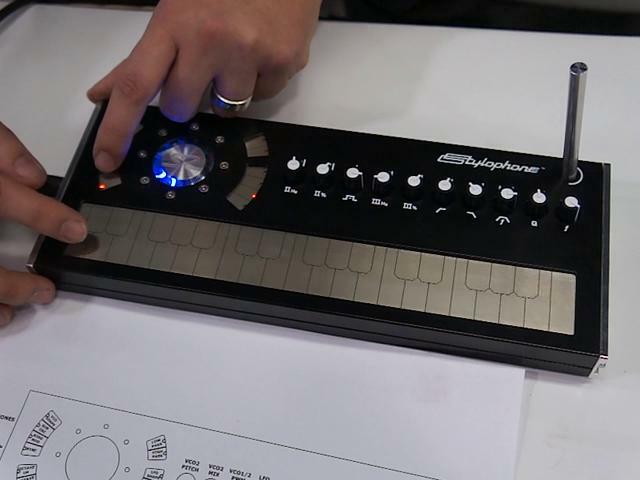 Well, the latest from Dübreq is the Stylophone S2, a genuine 2-oscillator analogue monosynth with a difference. It has a 3-octave printed-circuit keyboard which is playable with the included wireless stylus or by hand. The instrument is hand-made in England, with an extruded and machined aluminium case. It runs on four AA batteries or a mains adapter, and has a built-in speaker, a 7-octave range, ring-modulation and many other features. I think it looks like something from TRON: Legacy, and I can’t wait to get my hands on one. My lovely wife Karen bought me a Fostex MR-8 digital 8-track recorder for my birthday! The following recording uses the Wurlitzer sound from my Nord Electro 3, processed with its internal amp simulator, drums from my Casio WK-3000, and my Stagg EDB 3/4 electric upright bass. The drums and bass were processed via the recorder?s microphone emulation. Vintage Vibe redux… Any colour you like. No, really! To see these beautiful instruments, click here and then click on the word “Pianos”. I?m getting a Nord Electro 3! I will very shortly be getting a 73-key Nord Electro 3*. This will replace my Casio WK-3000, which in turn replaced a Wurlitzer 200 which sadly had to be retired due to its weight, age and the strange and non-musical noises that it made while warming up (the Wurly is owned jointly by my band, The Skanx, and hopefully we will continue to use it for songwriting, rehearsal and recording). Although it was my sole keyboard when I joined the Skanx, I have been using the Casio exclusively for its Wurlitzer sound for about a year, along with the band?s Roland VK-7 drawbar organ and my Stylophone S1 (see review on this blog). The Casio WK-3000 and its newer relatives actually have a pretty good Wurly sound for the price, but the Nord will take it to a new level of authenticity. When I joined The Skanx about four years ago, I made a deliberate choice to only use organ and Wurlitzer sounds. This gives our music a distinctive edge ? many other ska and reggae bands use an acoustic piano sound. It?ll be interesting to see whether the Nord Electro leads me to try out its Vox or Farfisa sounds or if I reserve the non-Wurly sounds for my own musical projects. Expect to see a full review of the Nord Electro 3 on this blog very soon! *If you don?t know what a Nord Electro 3 is, it?s a modern digital keyboard containing functional models of Hammond, Vox and Farfisa organs, plus accurate multisamples of Fender Rhodes, Wurlitzer and Yamaha electric pianos, Hohner Clavinet and Mellotron sounds. It?s made in Sweden. And it?s red. In 2004 I started an on-line think-tank called the New Combo Organ Project. The idea was to discuss the possibility of producing a modern version of a Vox- or Farfisa-style combo organ. At the time, all available organs aimed at gigging musicians were limited to reproducing the sound of a Hammond-type organ, and it seemed that musicians who preferred the quirkier sounds of 1960s transistor organs were being ignored. The people who joined me included musicians, manufacturing technologists, electronics and computer experts and vintage keyboard collectors. There were discussions of what type of tone generation to use, MIDI implementation and so forth. I even produced a 3D visualisation of a possible MIDI module which I named the ComBox. “I don?t mean to sound defeatist, but it?s been more than seven years since the New Combo Organ Project started, and nobody has yet built a prototype oscillator/divider board, never mind a whole organ. Or have they? I never thought it would happen like this, but the world of vintage keyboards has changed a lot in seven years. The New Combo Organ exists! Seven years ago, the term “combo organ” meant two very different things, depending on whether you were a fan or an instrument manufacturer. Companies like Roland and Korg applied the term to instruments which could only produce Hammond-type sounds, rather than the Vox and Farfisa sounds that Combonauts were seeking. There was clearly a gulf of misunderstanding between the two groups, with even a whiff of resentment towards these manufacturers who used the name “combo organ” but couldn?t be bothered to make an instrument that would satisfy real combo enthusiasts. And now we find ourselves in another decade, and real combo organs are being made again, not by experimenters tinkering in kitchens and basements but by major brands such as Hammond-Suzuki and Clavia! Yes – the Hammond SK-1 and SK-2, as well as Clavia?s Nord Electro 3, Nord Stage and C1/C2 organs have fully functional models of Vox and Farfisa combo organs alongside tonewheel simulations. 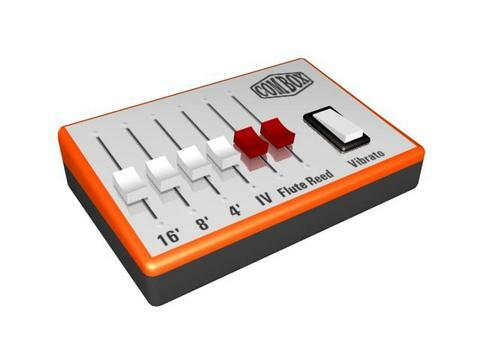 These are not samples or tweaked versions of the tonewheel models – they use the instrument?s drawbars or drawbuttons to control the correct waveforms and footages as if they were Vox drawbars or Farfisa tabs. You can buy a Hammond SK1 or a Nord Electro or C2 and use it as a Vox or a Farfisa. You can combine the correct voices to produce the sounds of the ?60s, ?70s or tomorrow. The New Combo Organ is here, and we should celebrate the fact. Maybe we don?t NEED a New Combo Organ Project any more.? Why are there no electric keyboards in ?50s rock ?n? roll? Electric and electronic keyboard instruments were first invented at the turn of the 20th century ? Thaddeus Cahill?s mighty Telharmonium was probably the first, and by the early 1930s dozens of inventors in America and Europe were putting together organs, pianos and keyboard instruments which could not as easily be categorised. The Ondes Martenot and Trautonium captured the imagination of avant-garde composers, while the Hammond organ and the same company?s Novachord synthesiser soon became mainstays of the entertainment, recording and broadcasting industries. Around 1950, various strands of American popular music began to blend, mutate and evolve. A mixture of electric blues, country, jazz and boogie-woogie became rock ?n? roll, and rapidly became the music of choice for young people across the nation. The instrumentation of this new sound comprised electric guitars, drums, upright bass (soon supplanted by Leo Fender?s electric bass guitar), saxophone and piano. And the strange thing is that the piano wasn?t replaced in rock music for another ten years. It?s not as if the instruments didn?t exist ? Wurlitzer?s electric piano first appeared on the market in 1954, just in time for rock ?n? rollers to adopt it. It was portable, easy to amplify and had a funky, futuristic sound. And yet nobody used it until Ray Charles in 1959. Listen to classic rock ?n? roll, doo-wop or rockabilly records and you will hear nothing but acoustic piano and the occasional celesta. Similarly, Hammond organs (which had been around since 1935) didn?t really crop up in rock music until the late 1950s with Lord Rockingham?s XI, Johnny and the Hurricanes and Dave Cortez. So why did the early rock ?n? rollers stick to the acoustic piano? It could be argued that once they had found a winning formula, there was no need to change it ? the bass guitar made a practical difference, but not one that the record-buying public were likely to notice. The image of electric keyboard instruments may have been another factor ? Hammond organs and Novachords were used in mainstream pop music and even on Nashville country recordings, but they were seen as being a bit staid and ?square?, whereas an old upright piano had a certain ?street? image harking back to saloons and honky-tonks. It took the 1960s to give rock music the keyboards it deserved ? brightly-coloured transistor organs with reverse-coloured keys and chrome stands; electric pianos that looked like sleek Scandinavian furniture or like heavy-duty guitar amplifiers, and later on, massive synthesisers that resembled the flight-deck of a spaceship. But that?s another story. Welcome to Simon Beck?s Vintage KeyBlog! Hi! I?m Simon Beck, and this is my Blog. Some of you may know me from Simon?s Hall of Electric Pianos or Vintage Keys E-Zine. Others will have come across my contributions to discussions about combo organs, clonewheels, vintage electric pianos, Stylophones and CIEPs (Cheap Italian Electronic Pianos). I suppose I?m a bit of a train-spotter in a keyboardy way. Ten years ago when I started the Hall of Electric Pianos website, I knew about perhaps a dozen electric pianos – Wurlitzer, Rhodes, Hohner Pianets and Clavinets, Yamahas, and a few more obscure ones like Baldwin and Kawai, but I never would have guessed that the list would grow to its present length. This is thanks largely to people who have shared their knowledge and resources with me over the years. It?s good to know I?m not alone! The music industry has also acknowledged the continued popularity of vintage keyboard instruments. From a few pioneering instruments such as the Korg CX-3 and the original Clavia Nord Electro, there has developed a new type of keyboard; the “virtual vintage”. Some of these are very specialised; the Manikin Memotron and Mellotron?s own digital version are dedicated to emulating as closely as possible the unearthly tape-recorded tones of the Mellotron and Chamberlin. Others seek to cover a wide range of bases; the Nord Electro 3 and the Hammond SK1 both have tonewheel and transistor organ models on board as well as carefully-sampled vintage electric pianos. There are also pure software emulations available of everything from Wurlitzer pianos to Polymoogs and Hammonds. One of the most exciting developments is the return of true electromechanical instruments to the market. Alongside the digital Mellotron, you can buy a genuine brand-new Mellotron with motors and tapes from either of two manufacturers. Similarly, tine-based electric pianos are now being made again by both a relaunched Rhodes Music Corporation and Vintage Vibe, a vintage keyboard specialist in New Jersey. Much further down-scale, you can even buy a new Stylophone for a fraction of the price of the ?70s version and incorporating a volume control and three different sounds! In future instalments I?ll be looking at the past, present and future of vintage keyboards and how they have helped to shape popular music. Look out for interviews, reviews and a lot more. Anti Spam Blocker – Help Fight Spam Email! Sie sind momentan im Archiv der Kategorie Editorial.